Edo State Governor, Adams Oshiomhole, has unveiled plot on how the Peoples Democratic Party (PDP) planned to rig the state governorship election rescheduled for September 28. The governor disclosed that the PDP through some governors in the South-south planned to rig the election by registering 8,000 militants from their states for the poll. 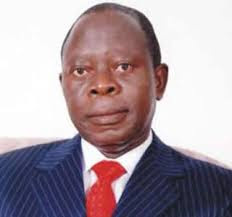 Oshiomhole, who spoke while receiving the Inspector-General of Police, Mr. Idris Ibrahim, at the Government House in Benin City, said the PDP opted for militants from other states because they couldn’t find any local thugs to help them perpetrate violence which they have done between 1999 and 2007. He said the PDP resorted to liaising with his brothers (Governors) in the sub-region, Delta and Rivers, in particular, to export criminals and militants into Edo State in order to make peaceful election impossible. The governor recalled how he first raised the alarm on the eve of the INEC Continuing Voters’ Registration exercise. He further explained that the militants registered in the state to have the lawful basis to be present at the designated polling units where they were expected to unleash violence on election day.